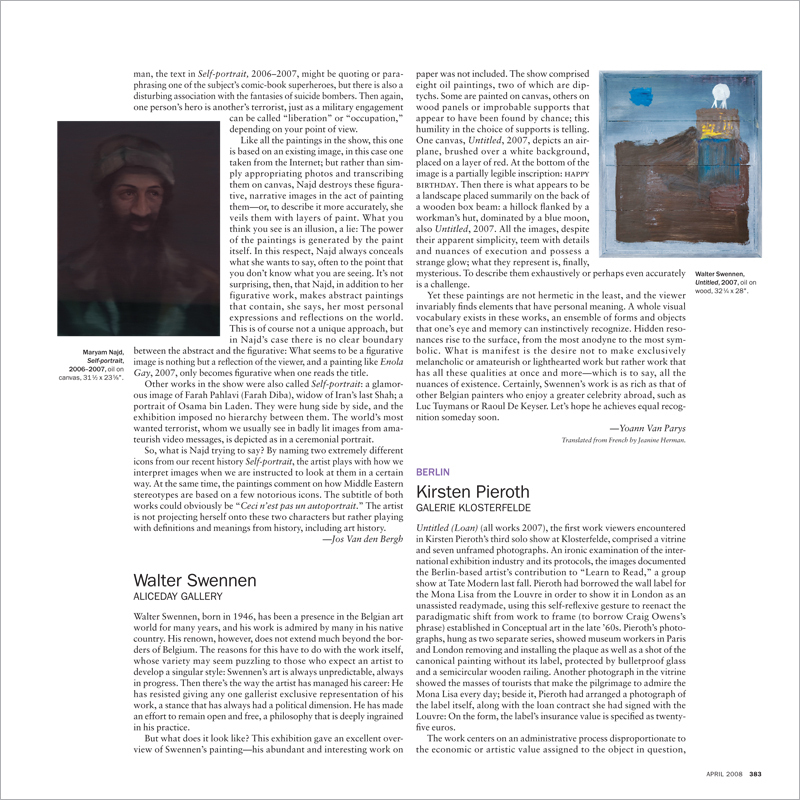 Walter Swennen, born in 1946, has been a presence in the Belgian art world for many years, and his work is admired by many in his native country. His renown, however, does not extend much beyond the borders of Belgium. The reasons for this have to do with the work itself, whose variety may seem puzzling to those who expect an artist to develop a singular style: Swennen’s art is always unpredictable, always in progress. Then there’s the way the artist has managed his career: He has resisted giving any one gallerist exclusive representation of his work, a stance that has always had a political dimension. He has made an effort to remain open and free, a philosophy that is deeply ingrained in his practice.